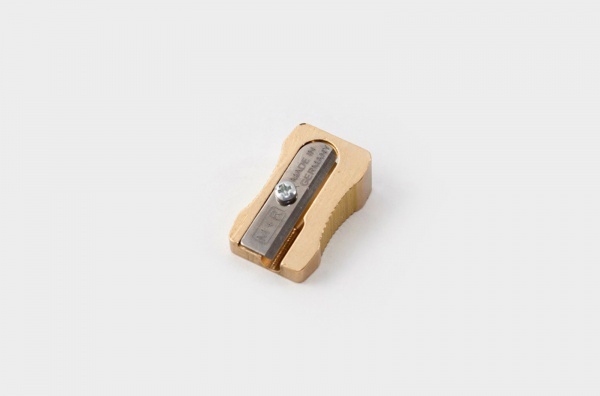 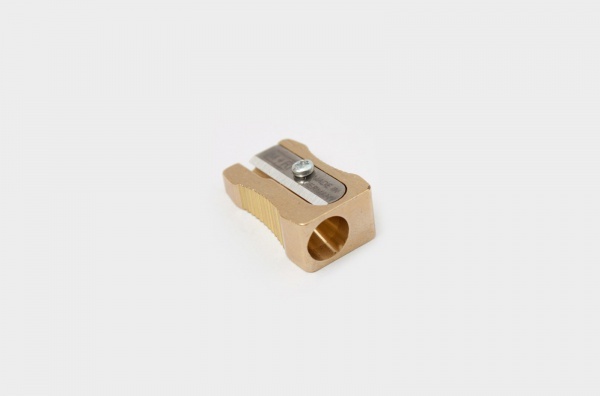 Classic brass single-hole wedge-shaped pencil sharpener, precision-made of milled brass. 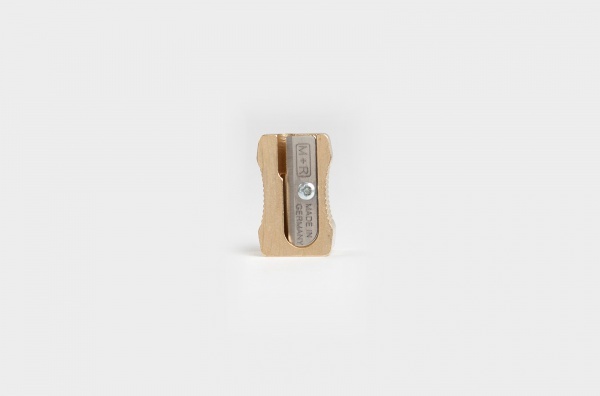 Recessed grip zone, and raw machined surface. 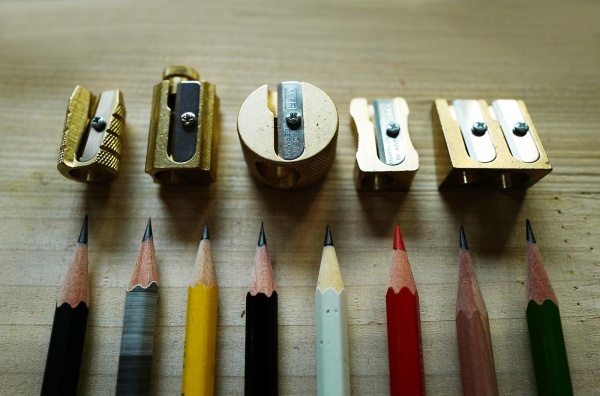 Suitable for round, hexagonal and triangular profile pencils.